Sunglasses are a must-have summer accessory but what styles will everyone be wearing next year? 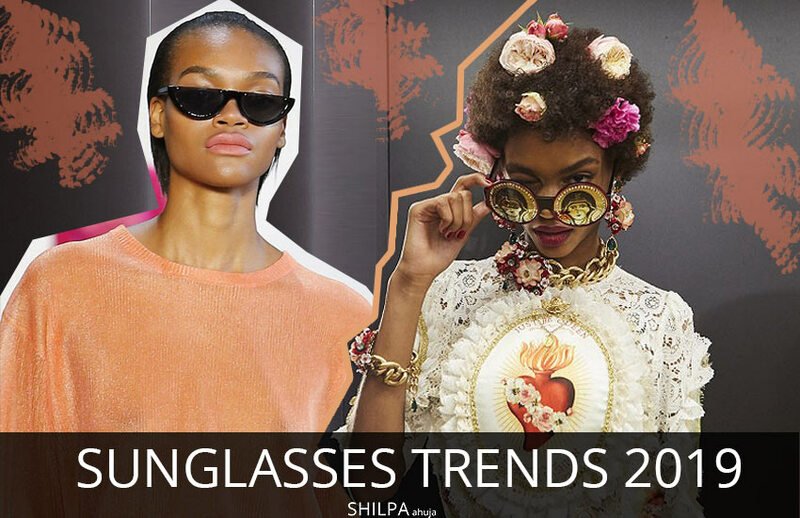 Check out the latest sunglasses trends for Spring Summer 2019. From the best runway trends, pick your choice! Hey there! The SS19 fashion weeks have just winded up and after featuring the major designer collections here we are with our trend forecast. I know it is exciting to know what upcoming trends will be and what’s not trendy anymore. 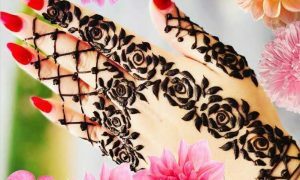 We here at ShilpaAhuja.com predict fashion trends for apparel and accessories. From dresses to jeans, jackets to skirts and from jewelry to sunglasses we cover all of them. And since sunglasses are an important fashion accessory in the summer, we just had to bring the latest sunglasses trends for 2019 to you! 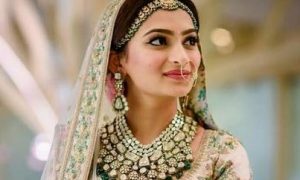 So, let’s take at the most popular sunglasses trends that ruled the runway in Spring Summer 2019 collections. Extra oversized is one of the newest sunglasses trends for 2019. Large sunglasses are not new to us but next season we’ll be seeing sunglasses that end at the tip of the nose or extend even below. From Dior to Tom Ford to Gucci, designers are giving us new fashion goals. In extra oversized either go for square, rectangular or blade style – they’re the trendiest. If you’re done with black lens and frame then go for translucent frame and berry shade lens! Ditch the boring black and brown frames and go for pop colors this summer. From olive green to red to yellow, pick the color of your choice and rock the summer in style. You can also match the frame color to your outfit to make it look more gorge! 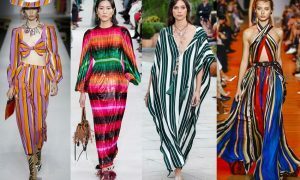 Afterall, multicolored outfits are trending as the top fashion colors for Spring 2019. And yeah, shapes like rectangular, cat-eye and round are still trendy so don’t hesitate to choose the style you love. Now, this is one of my favorite sunglasses trends for 2019. Sunglasses usually have a curvy shape on the top, but in Spring 2019 collections, we saw flat top sunglasses. Cool, isn’t it? Design houses like Fendi, Moschino and Sally LaPointe showcased narrow sunglasses with flat top whereas in Dior we saw oversized glasses with a flat top. This season is of both narrow and oversized sunglasses. Either go for extra oversized or for too narrow ones. After seeing collections like Dior, Gucci which had mostly oversized sunglasses, we thought that narrow sunglasses are not gonna make it through our sunglasses trends report for 2019. But kudos, here they are! From patterned to colorful frames, we are seeing many variations in this sleek style. Mixed media techniques have invaded in the sunglasses fashion too! Surface work on fabrics is common but on sunglasses is something new and interesting. From rhinestones to studs to embellishments, we have seen different types of mixed media work on the frame of sunglasses. Also, the designers have come up with minimal surface work, except for Dolce, which makes them more wearable. Great option for BBQ parties! Multi-media is also trending as one of the most popular dress trends for Spring Summer 2019. While we also saw cat-eye, square, rectangular and round sunglasses on the runways, the butterfly-shaped sunglasses are something fresh and caught our eyes. In this type, the shape of the lens looks similar to a butterfly with a slight curve at the top end. The top curve ends at the temples. Also, ombre lens are still trending. So, opt for a cool gradient! If you are looking for what colors to choose when you go for sunglasses shopping, then here you go. Deep wintery tones like olive green, eggplant blue, aquamarine, cyber grape and azure blue are trending colors on the runways. Both rimless and metallic frames are also popular. So, if you want a sporty look go for rimless ones. If you haven’t invested in the patterned sunglasses now is the time. We’ve been seeing them for past few seasons now and this season they’re definitely must-haves. Also, this trend is a good change from plain frames. From polka dot prints in Fendi to outfit matching pattern in Christian Siriano to the strokes pattern in Moschino, patterned sunglasses have made their place in the women’s sunglasses trends! So, these are the best sunglasses trends for 2019. I’m loving the trend of flat top sunglasses. Which trend are you gonna rock? Do let us know by tweeting @shilpa1ahuja.